Authorities are on the scene of a serious crash on Route 37 in Manchester this afternoon. At 2:45 p.m., an alert from the Manchester Police Department states that the highway’s eastbound lanes just after Colonial Drive are blocked as police, fire, and medical units operate at the scene. The crash involves at least one overturned vehicle, and multiple medevacs were requested, according to emergency radio transmissions. 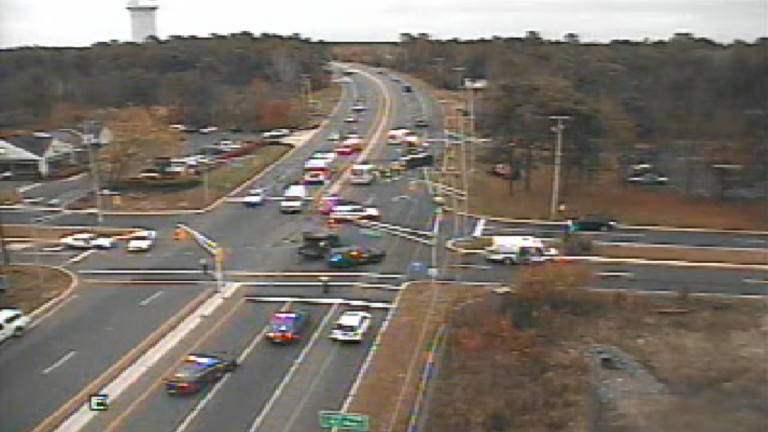 Traffic camera imagery indicates numerous emergency vehicles in the Route 37 eastbound lanes. Westbound traffic is flowing.